Check out this cool concept for from designer Lee Young Don. 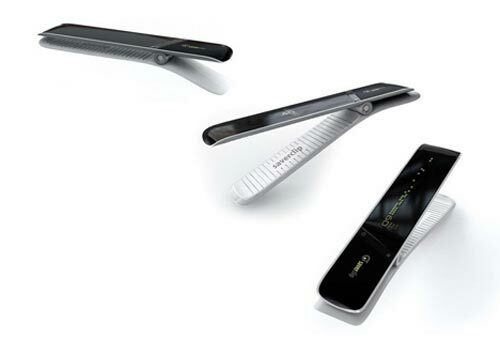 The Saverclip is a gadget shaped like a tie pin that reads electric usage on any power cable its clipped onto. The device works by reading the electromagnetic fields emitted by said devices. Conversely, this is also how it recharges itself. The embedded LCD displays information in laymen terms so you clearly understand just how much power youre using, wasting, and could be saving. 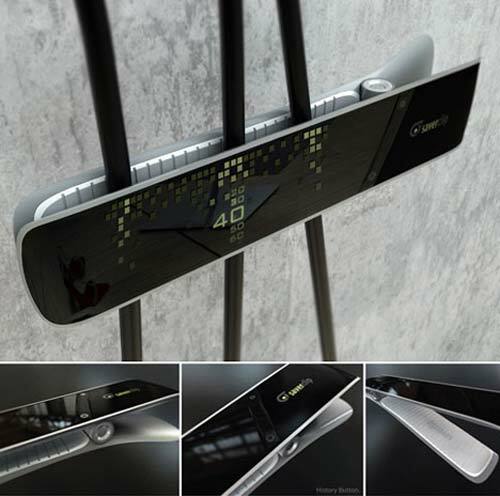 This is a cool looking concept, which monitors how much power your devices use, it would be nice to see some sort of energy saving function incorporated into the design.